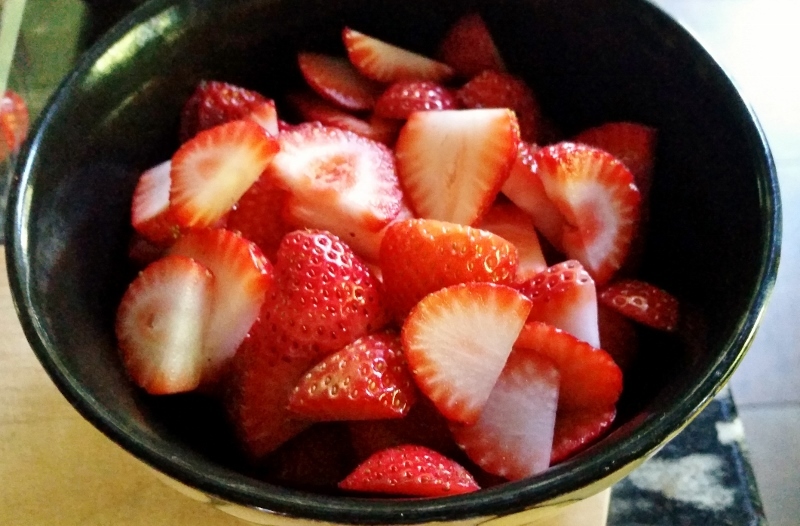 Having a low-key Fourth of July celebration called for a casual, yet slightly fancy, yet super easy, yet refreshing, yet absolutely delicious dessert. These shortcakes were a hit and I was able to whip them up in a pinch! In fact, because I was in said pinch, I broke down and used a boxed cake mix, which is absutively, posolutely A-OK, people. Some people are sticklers about every single component of a recipe being homemade from scratch. Don’t be one of those people! Boxed mixes taste wonderful and can be a complete lifesaver. So, save your life and use a boxed mix if you want. 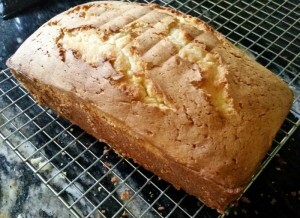 Or make your pound cake from scratch! In fact, here‘s the recipe for a great one! But I used a boxed pound cake mix. So this post will describe the fact that I did that. To start these shortcakes, grab a boxed cake mix and prepare and bake it according to the package directions. 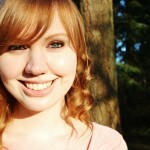 Here is what mine looked like. While the cake is cooling down, assuming you just pulled it out of the oven, slice up 2 cups of fresh strawberries and set them aside. When the cake is cool, slice the cake into 1-inch thick pieces. Then, heat some butter in a large skillet until it’s melted and throw in a few slices of the pound cake. Cook for about 2 minutes on the first side, until golden-brown, then flip and cook for about 1 more minute on the other side until also golden brown. Repeat with all the cake slices, setting them on a plate to cool. 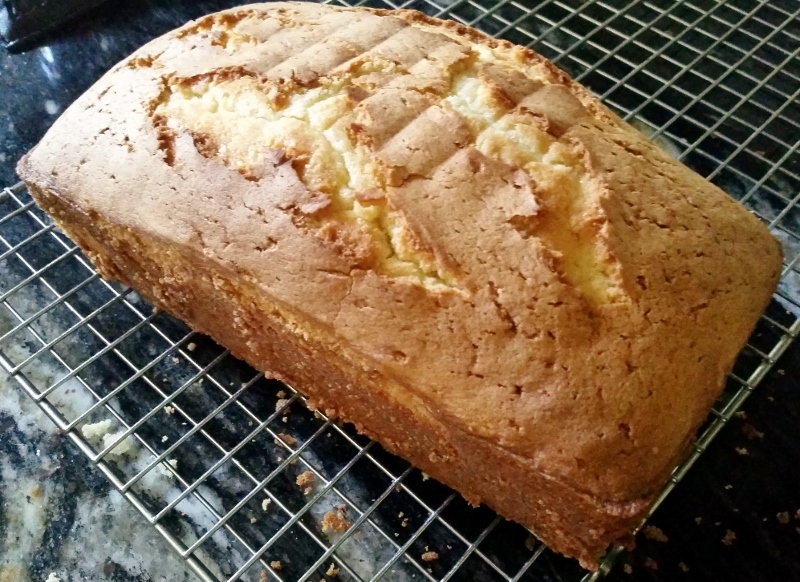 While the toasted pound cake slices are cooling, whip some cream together with some sugar until you get whipped cream. 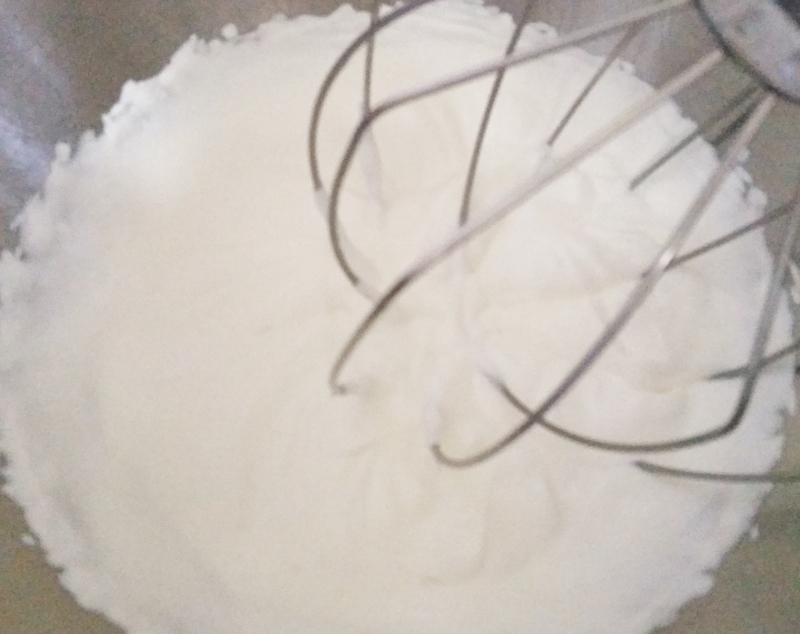 Everybody knows what whipped cream looks like, right? 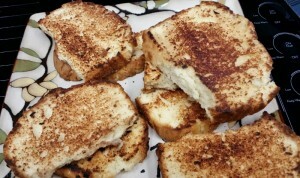 To assemble the shortcakes, sh-mear some seedless strawberry jam onto 2 slices of toasted pound cake. 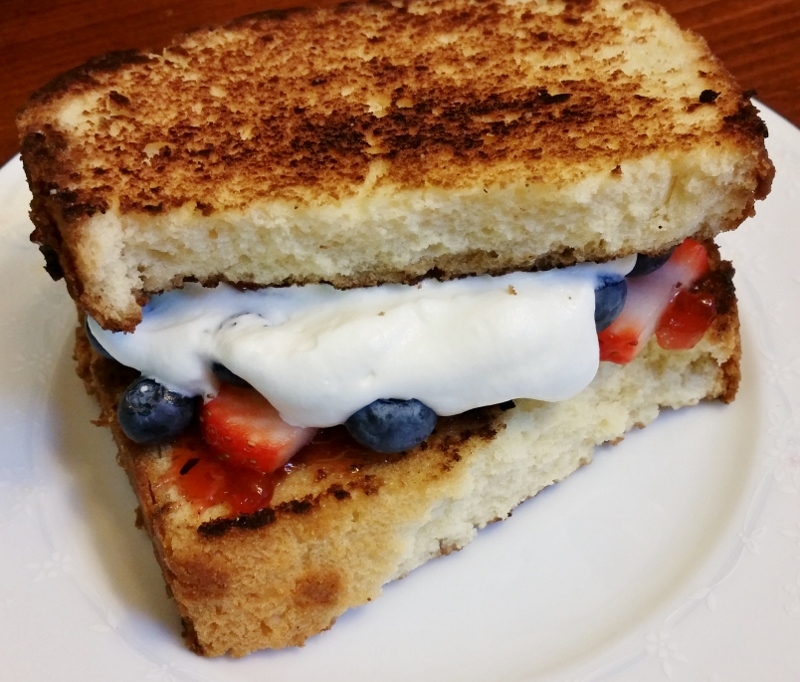 On one of the jam-ified pieces, place a handful of strawberry slices and fresh blueberries on top. Then, spoon a dollop of whipped cream right in the middle of the toast, on top of the berries. In the middle, on top, m’kay? Now just put the second jam-ified cake piece on top, jam-ified side down. It’s now a pretty, fruity shortcake sandwich! The best part about these cake shortcake sandwiches (which aren’t really sandwiches since you need to eat them with a fork or otherwise risk getting a lap full of fruit/cream filling) is the way the pound cake is a little crispy on the outside but stays super soft and cakey on the inside. These shortcakes have an awesome blend of textures and flavors and are juuuuuust fancy enough to make you feel fancy. Enjoy! Prepare and bake the pound cake according to package directions. Let cool completely, then slice the cake into 1-inch pieces. Melt 2 tablespoons of butter in a large skillet over medium-low heat. Place 2 slices of pound cake in the pan and cook for about 2 minutes until golden-brown, then flip and cook for about 1 minute more. Repeat with the rest of the cake slices. 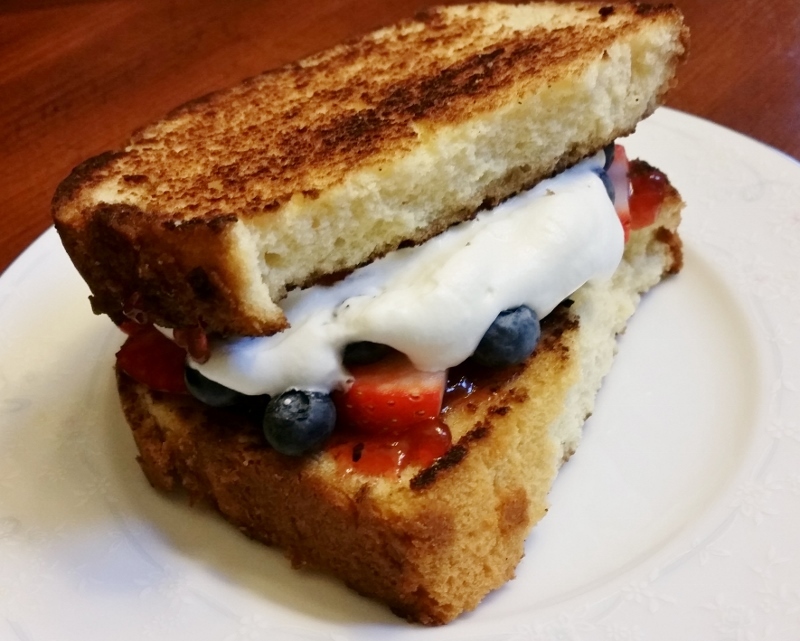 Spread some jam onto two pieces of toasted pound cake, then top one of the cake pieces with a handful of strawberry slices and blueberries. 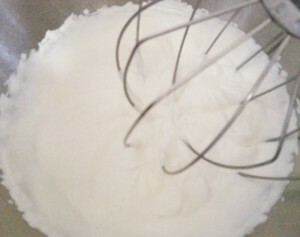 Whip the heavy cream and sugar together with an electric mixer on high speed until stiff peaks form. Spoon a dollop of the whipped cream on top of the berries. Place the second piece of toasted pound cake, jam side down, on top of the whipped cream. Repeat steps 3-4 with the rest of the toasted pound cake.